Hello, friends, this is our new post regarding the Top 5 Xiaomi Smartphone to buy in 2017. In this article, we are going to provide you the 5 best Xiaomi Smartphone which you should buy in 2017. The Xiaomi Redmi Note 4 has the 5.5-inch Touchscreen display with the resolution of 1080*1920 pixels. The price of Xiaomi Redmi Note 4 starts from Rs 9,999. The device is powered by the 2 GHz octa-core Qualcomm Snapdragon 625 processor. The Xiaomi Redmi Note 4 comes with the 64GB internal storage, and it can be expandable up to 128GB via MicroSD card. This device has the 13-megapixel back camera and 5-megapixel front camera. The device runs the Android 6.0, and the 4100mAh non-removable battery powers it. The Xiaomi Redmi Note 4 accept the both Micro-SIM and Nano-SIM. It provides the various connectivity options include Bluetooth, GPS, USB OTG, Wi-Fi, 3G, and 4G. The Xiaomi Redmi 4A was launched at the start of 2017. This device is powered by the 1.4GHz quad-core Qualcomm processor. The resolution of the device is 720 pixels by 1280 pixels at the PPI of 296 pixels per inch. The device comes with the 2GB RAM. The Xiaomi Redmi 4A came with the 16GB internal storage and expanded up to 128GB via MicroSD card. The Xiaomi Redmi 4A ran the 6.0 Android version and powered with the 3120mAh non-removable battery. The Xiaomi Redmi 4A packs with the 13-megapixel primary camera and 5-megapixel selfies camera. 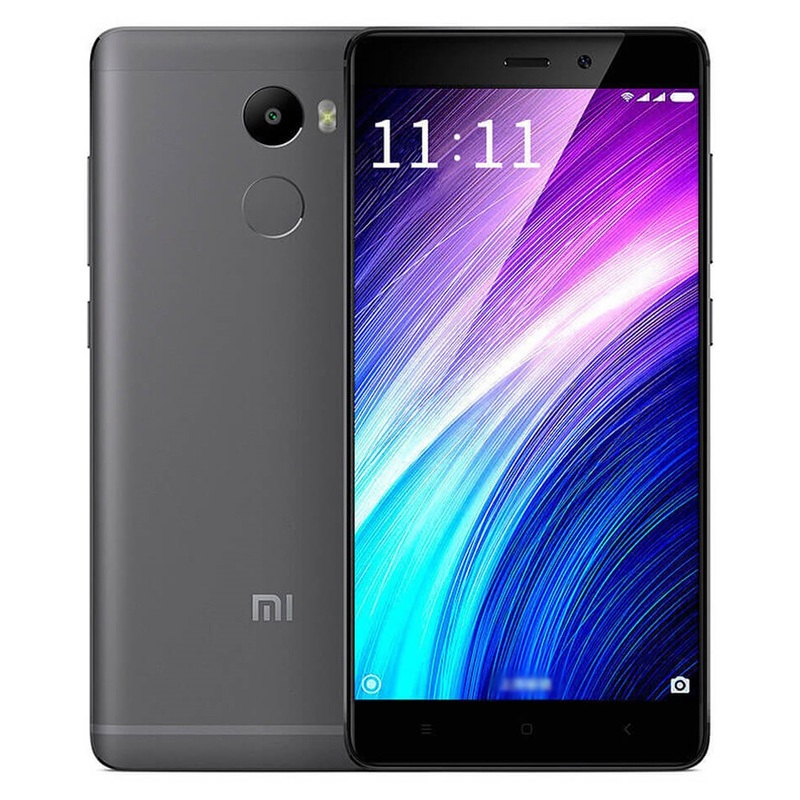 The Xiaomi Redmi 4A is a dual SIM phone which accepts both Nano-SIM and Micro-SIM. The device has the connectivity option include Bluetooth, GPS, USB OTG, Wi-Fi, 3G, and 4G. The Xiaomi Redmi 4 comes with the 5-inch Touchscreen display. The device has the resolution of 720*1280 Pixels. 6,999 is the price of Xiaomi Redmi 4 in India. The device is powered by the 1.4GHz octa-core Qualcomm Snapdragon 435 processor. The device has the 32GB internal storage, and it is expandable up to 128GB via MicroSD card. The Xiaomi Redmi 4 run the 6.0.1 Android version. The 4100mAh battery powers the device. The Xiaomi Redmi 4 has the 13-megapixel primary camera and 5-megapixel selfie camera. The device accepts both Nano-SIM and Micro-SIM. It includes the connectivity like Bluetooth, GPS, USB OTG, Wi-Fi, 3G, and 4G. The Xiaomi Redmi Note 4X was launched on the February 2017. The Xiaomi Redmi Note 4X runs the 6.0 Android version. The 4100mAh nonremovable battery powers the device. The Xiaomi Redmi Note 4X comes with the 5.50-inch Touchscreen display with the resolution of 1080*1920 pixels. The Xiaomi Redmi Note 4X has the 32GB internal storage, and it is expandable up to 128GB via MicroSD card. The device has the 13-megapixel primary camera and 5-megapixel selfie camera. The method accepts the both Nano-SIM and Micro-SIM. The connectivity options include Bluetooth, GPS, USB OTG, Wi-Fi, 3G, and 4G. The Xiaomi Redmi Pro was powered with the 2.1GHz MediaTek Helio X20 processor. The Xiaomi Redmi Pro comes with the 32GB internal storage, and it is expandable up to 128GB via MicroSD card. The Xiaomi Redmi Pro packs with the 13-megapixel primary camera and 5-megapixel selfies camera. The 4050mAh non-removable battery powers the device. The Xiaomi Redmi Pro accepts both Nano-SIM and Micro-SIM. The connectivity options include Bluetooth, GPS, USB OTG, Wi-Fi, 3G, and 4G.